We love helping our friends and neighbors throughout the Chicagoland area in selecting and building garages. 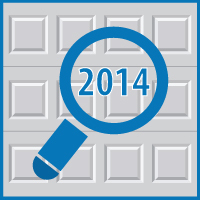 Today, we would like to turn our focus to some of our highlights from 2014, and share with you a few things you can expect as we turn to our 36th year of custom garage building for customers from Aurora to Zion. This summer, Blue Sky Builders held our “Ugliest Garage Contest.” Our winner, from Glen Ellyn received a new television, and chose Blue Sky Builders to help build her new garage. As these blogs have helped hundreds, if not thousands of homeowners better take care of their garages, we would like to share with you some of our posts which you may have not seen, but many have enjoyed throughout the years. How to Choose the Right Size Garage: This post, from 2013, has been a mainstay. In this, we share one of the most important considerations you make before building a garage—the size. Check out our advice on selecting the right sized garage to fit your car, your stuff, and your life. The Ultimate Father’s Day Guide to Turning a Garage into a Man Cave: Do you want to learn the best way to save money while still creating a relaxing escape for dad? This highly read blog shares the six steps to create the ultimate man cave in the garage, a project that costs much less than a standard home addition. Learn more about building a man cave in the garage next Father’s Day. Restore Your Garage Floors: If you’re like most Chicagoans, you will come out of hibernation in spring 2015 to the unsightly salt stains that will manifest during the winter. Learn how to clean salt stains and restore our garage floors, and learn about other garage stains and how to remove them. Carport to Garage Conversion Checklist: If you’re looking replace the drafty and unprotected carport with something more solid, we share with you the seven steps to converting your carport to a garage. 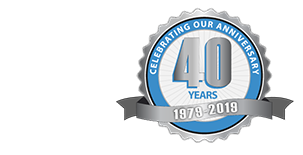 As we enter our 36th year in operation, we look to continue serving our community by building the highest quality custom garages in the Chicagoland area. If you’re looking for new garages, entry doors, or windows in the new year, contact us to become one of the first we help in the coming building season.